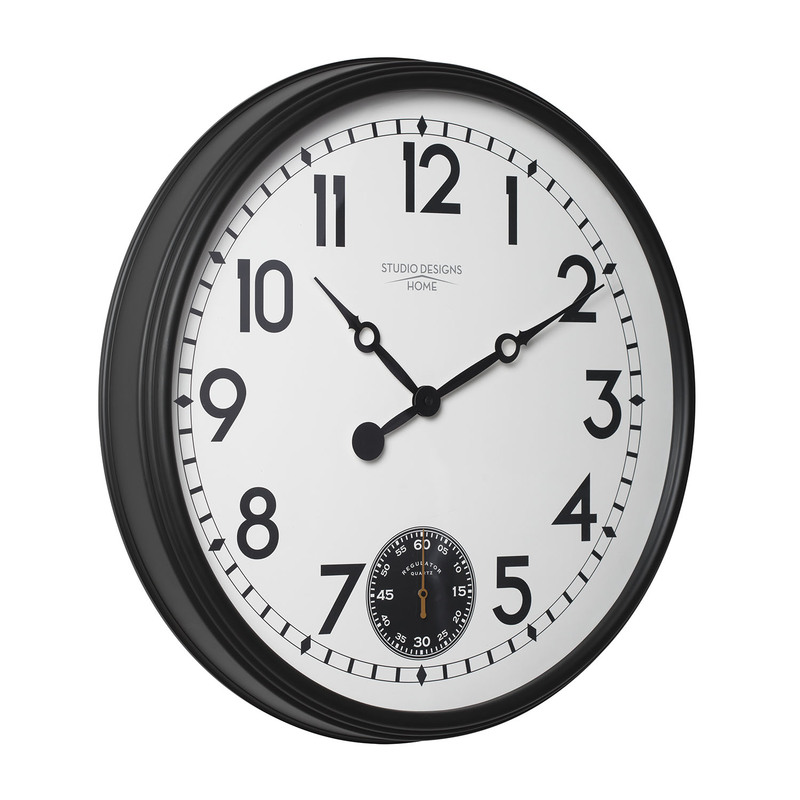 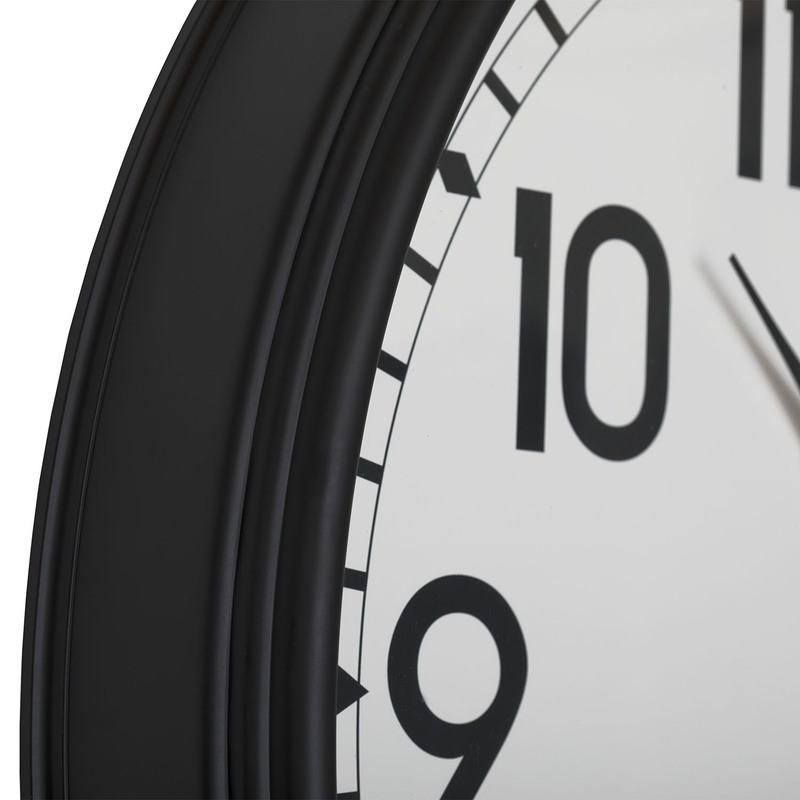 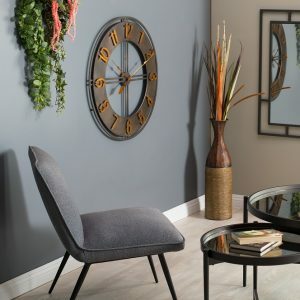 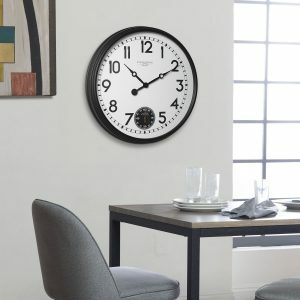 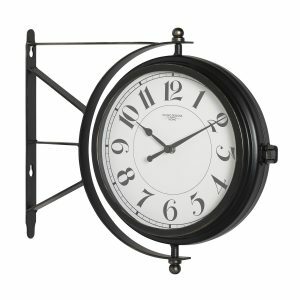 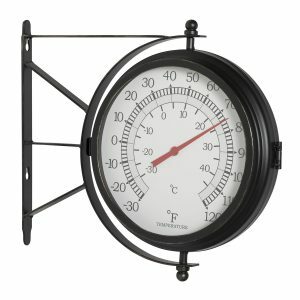 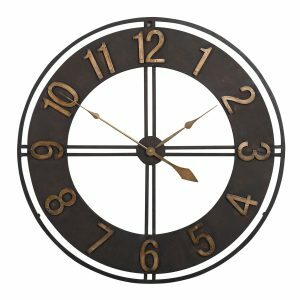 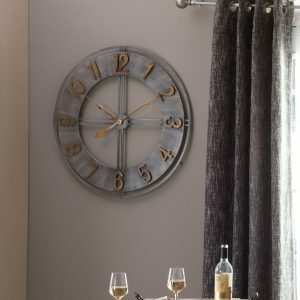 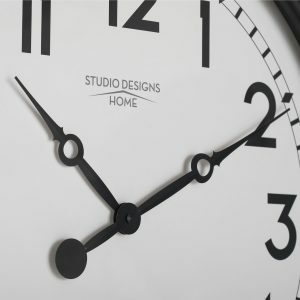 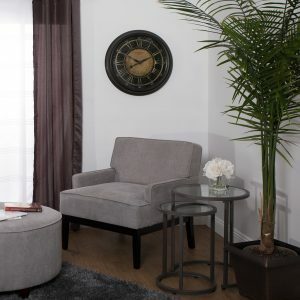 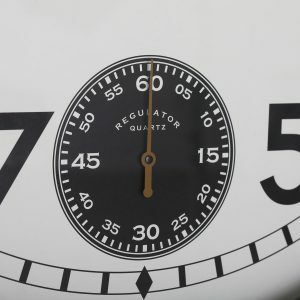 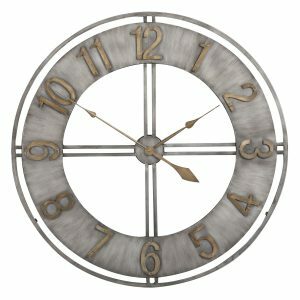 The Terrace 29-inch Wall Clock offers a dapper, black resin frame with a crisp, contrasting, white face. 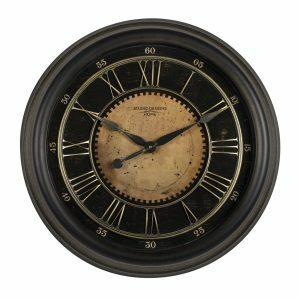 Perfectly sized for a kitchen or living room, this timepiece will be the centerpiece of your room’s wall. The unique black subdial at the bottom of the face tracks the seconds for you, replacing the traditional second hand used on other clocks. 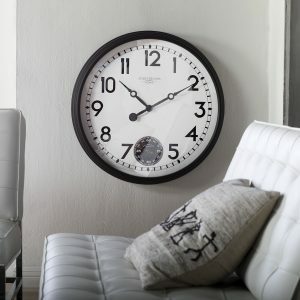 Large Arabic numerals are easy to read from a distance. The accurate quartz movement, glass lens, and simple design make it perfect for a lobby or lunchroom as well. 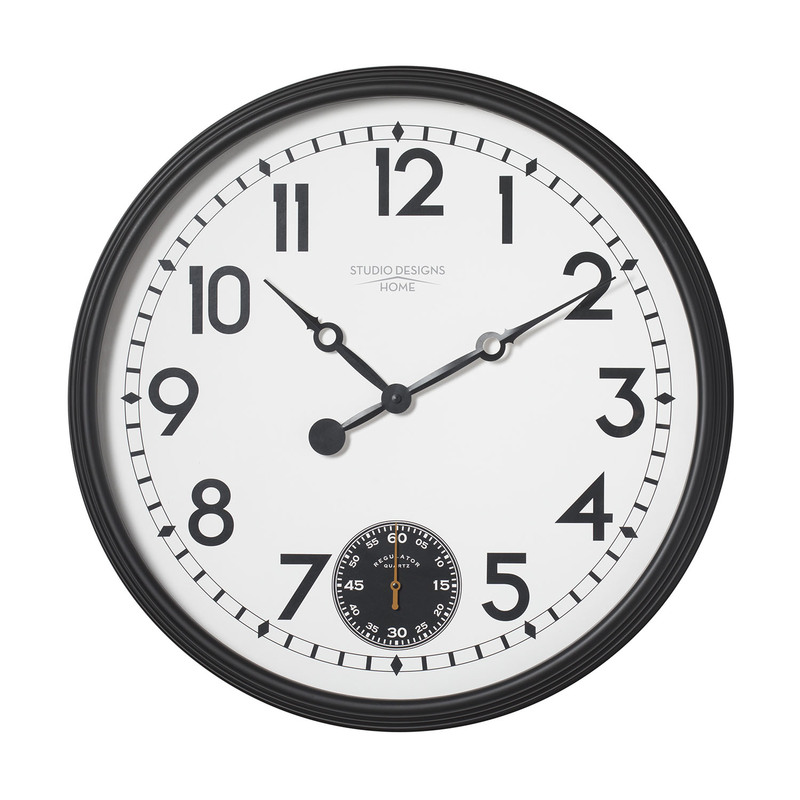 Requires two AA alkaline batteries (not included).